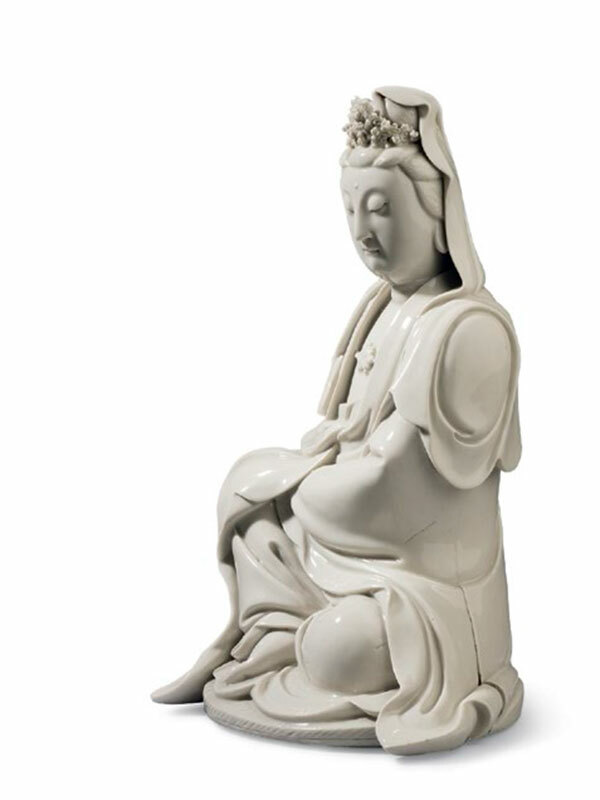 A blanc-de-chine porcelain figure of Guanyin, seated on an imitation woven circular mat in ‘royal ease’ position. Her body is dressed in loosely fitting robes that fall open at the chest, revealing a lotus-shaped pendant and leaving only her right foot uncovered. Both of her hands, hidden in the folds of her dress, rest on her drawn-up right knee. The head is slightly lowered, and a jewelled crown is placed on her neatly arranged hair in a high chignon, all covered by a cowl. Her finely carved face has a demure, benign expression with downcast eyes, firmly closed lips, elongated ears and an urna placed in the middle of the forehead. The figure is moulded in different sections. 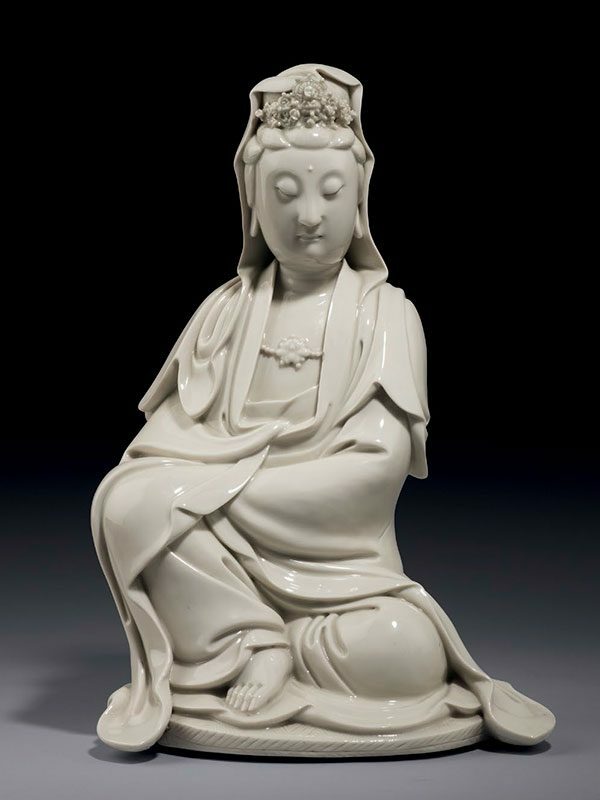 The exterior is fully covered by a white glaze with blueish hue, leaving only the base rim and the interior uncovered, revealing the fine creamy white porcelain body. A four-character seal mark is impressed on the middle of her back.